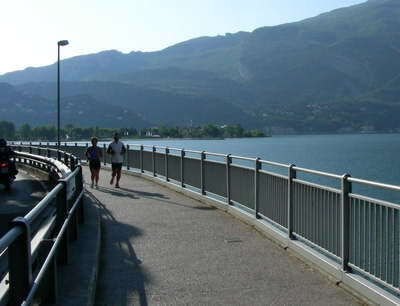 "Lake Garda running opportunities are plentiful, with so much awesome scenery to look at as you run"
There are so many great places for Lake Garda running to be done. You see a lot of joggers at the lake, especially at the north end which is generally more sport orientated. So whether you are a serious athlete or just enjoy a gentle jog you will like it here. 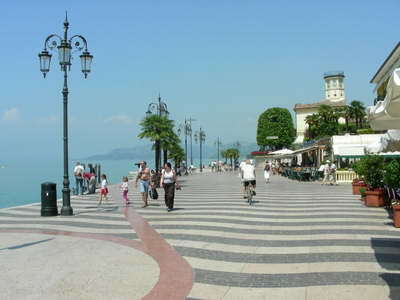 Lake Garda has loads of lakeside paths with are usually wide and in very good condition. These make ideal place for a run and the scenery is spectacular. It seems so much easier to run when you are in such inspiring surroundings. In some places such as Garda you could even run on the long beach area. For those seriously into athletics Lake Garda is a great place to train or compete. There are many steep roads going up into the mountains from the lake that would give even the fittest athelete a good workout. These roads are generally pretty quiet but also quite narrow with some blind corners so be careful and always wear high visibility clothing. If you are planning a really long lakeside run it is worth getting a good map as some parts of the west side, towards the top of the lake, have very restricted routes due to the very steep mountains here. I wouldn't recommend running through some of the tunnels as they are very long and dark and this would be dangerous. 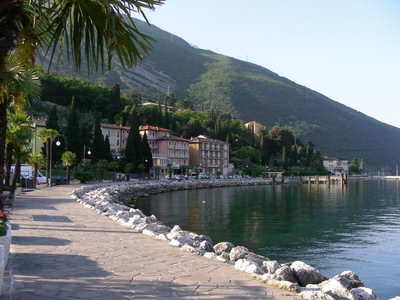 The Lake Garda marathon is a big event taking place annually, usually in the month of October. If you fancy running a marathon what better place than doing it at Lake Garda.